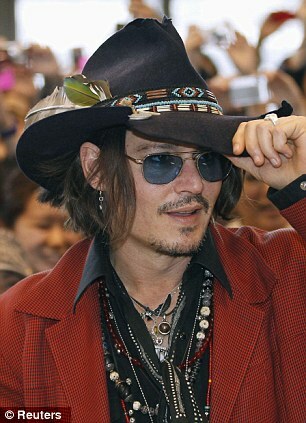 Johnny Depp arrived in Tokyo yesterday (May 12 2012) to promote his new movie Dark Shadows. Depp was mobbed by fans at Narita International airport. The premiere was screened the same night at Roppongi Hills Arena.